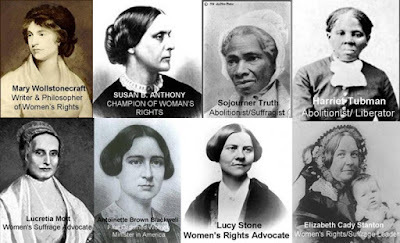 Will Fitzhugh of The Concord Review sent word that the special Women's History issue is available at Amazon.com. Click here. - Video Introduction to Historical Thinking. - Spotlight on African American History Month. - The February 2012 E-Newsletter. - Free Historical Thinking and Civil War posters. The Issues and Research section has an interactive database of state standards for each state and the District of Columbia, which complements its recently updated project, A Report on the State of History Education. Teachinghistory.org is a project of the Roy Rosenzweig Center for History and New Media at George Mason University and is funded through the U.S. Department of Education’s Teaching American History (TAH) program. It is a leader in providing K-12 history teachers with free access to resources and materials to improve their lessons. The annual wars, aka school budget deliberations, are about to begin. Across the nation, states and local districts will once more struggle to maintain educational integrity in the face of annual budget shortfalls, "race to the top" to grab federal dollars, and, hopefully, improve overall student achievement. Last fall, a report from the Thomas B. Fordham Institute brought into sharp focus the decline in achievement among the top students in our nation, those with the potential and demonstrated capacity to excel in school and assume leadership roles in the United States and the global community. Quite simply, the report, titled "Do High Flyers Maintain Their Performance: Performance Trends of Top Students," <http://www.edexcellence.net/publications/high-flyers.html> suggested that this nation's brightest students are the unintended victims of the lofty goals of the No Child Left Behind Act. Rather than making the much-heralded "adequate yearly progress" that is supposed to characterize school success, they are losing ground when their performance is tracked over time. The Fordham report followed a Program for International Student Assessment, or PISA, report <http://www.pisa.oecd.org/dataoecd/32/50/46623978.pdf> in December 2010. Not only had a majority of 15-year-old students in the United States lagged in mathematics and science performance, but America's top students compared dismally with their peers across the globe. In math, only 1.9 percent of U.S. students scored in the 95th percentile on the assessment's highest proficiency level, below the average of 3 percent of the total sample of students from other Organization for Economic Cooperation and Development-member nations, and well below the top students in South Korea (7.8 percent), Switzerland (7.8 percent), Singapore (15.6 percent), and Shanghai (26.6 percent). "In a nation devoted to the underdog, we seem to have forgotten that gifted students need to grow, too." Why can't more of our brightest students attain this high level of proficiency? And, why should we care? Here's why: Providing for the continued growth, development, and achievement of our most capable students is akin to betting on the favorite. The most-talented students are most likely to bring this nation out of the economic basement, create new inventions, cure deadly diseases, and, yes, restore the United States to its former place as the international leader in innovation and scholarship. In a nation devoted to the underdog, we seem to have forgotten that gifted students need to grow, too. In fact, in many ways, gifted students are the new underdogs in American education. No one wants to see any student condemned to substandard education, a result of some tracking systems. However, the brightest students are condemned to working at levels below their potential. At the same time, acceleration to the next grade is often not considered or even allowed, despite research-based evidence, such as the 2004 report "A Nation Deceived: How Schools Hold Back America's Brightest Students," that documents the benefits of acceleration for our top students. Finally, most teachers have not been trained to work with highly able students in the regular classroom, and that's where most of the high-flying students can be found. Last year, U.S. Reps. Elton Gallegly, R-Calif., and Donald M. Payne, D-N.J., along with U.S. Sens. Charles Grassley, R-Iowa, and Robert P. Casey Jr., D-Pa., introduced a bipartisan bill as part of the reauthorization process for the Elementary and Secondary Education Act, currently known as No Child Left Behind. The TALENT (To Aid Gifted and High-Ability Learners by Empowering the Nation's Teachers) Act would require that state assessments capture when students perform above grade level and report the educational growth of the most-advanced students on state report cards required under NCLB. This would represent a critical improvement in the current reporting system and drive schools to consider the educational development of the highest-achieving students. It would also spur policymakers and curriculum developers to provide more-advanced curriculum for high-achieving students. It would expand professional-development opportunities for teachers and establish research initiatives to explore ways that teachers can support and serve high-ability students. The bill is still awaiting action in Congress. As a former high school teacher and coordinator of programs for gifted students, I know firsthand the frustrations of the very capable student who must slog through drill-and-kill reviews every fall while teachers ensure that everyone is up to speed and ready to move forward. The situation repeats itself throughout the school year, as teachers and students progress toward the annual standardized tests that will be used to determine individual teachers' effectiveness. The focus on teacher accountability has accentuated the very real pressures on teachers to make sure that all students perform at an accepted level of proficiency, and I am in no way suggesting that teachers are maliciously neglecting the brightest students in their classes. However, when one's job security is on the line, good will and the intention to differentiate instruction for highly able students easily fall prey to meeting the needs of the majority. If gifted youngsters already meet the minimum-proficiency standards, there is no need to move them forward. For now, there is no federal mandate to meet their academic needs. What Should History Degree-Holders Know and Be Able to Do? Washington, D.C.—The American Historical Association (AHA) is initiating a nationwide, faculty-led project to articulate the core of historical study and to identify what a student should know and be able to do at the completion of a history degree program. Professors Anne Hyde (Colorado College) and Patricia Limerick (University of Colorado Boulder) will lead accomplished faculty from more than sixty colleges and universities across the country to frame common goals and reference points for post-secondary history education. The project will engage employers, alumni, students, and others in exploring and enhancing how the study of history provides the foundation for a life of active citizenship, continued learning, and successful employment. Contact: Julia Brookins, AHA Special Projects Coordinator (tuning@historians.org).. WIN A RIDE ON A TALL SHIP! Operation Sail, Inc., the national non-profit organization that produces tall ship events commemorating patriotic American milestones, announced its sponsorship of an essay contest and an art contest for high school students in association with the USS Constitution Museum, the National Maritime Historical Society, the U.S. Navy and the U.S. Coast Guard. The prize, awarded in each of six ports, will be a ride on the Coast Guard tall ship Eagle. OpSail has partnered with the Navy, Coast Guard, and navies around the world to commemorate the bicentennial of the writing of The Star-Spangled Banner and the War of 1812. Some of the world’s largest sailing ships will sail into six major east coast ports from April through July, 2012. Tall ships and navy warships will form up in parades of sail to begin week-long festivities this spring and summer in six cities: New Orleans LA, New York NY, Norfolk VA, Baltimore MD, Boston MA and New London CT. Essays must be submitted as a Microsoft Word attachment in 12 point, Times New Roman font, double spaced, with one-inch margins. The entrant’s name, email and port of interest must appear on the top right-hand corner of the front page. Essay entries should be emailed to opsail2012-essay@opsail.org. Copies of original artwork must be submitted in JPG format under 6 mb in file size. The entrant’s name, email and port of interest must appear in the body of the email. Art entries should be emailed to opsail2012-art@opsail.org. Winners must agree to submit original artwork for display. Contestants must follow specific deadline and submission requirements. The contests are open to students enrolled in public, parochial or private high schools and who will be at least 12 years old by date of the event for which their work is submitted. The prize is passage on a tall ship for a day during OpSail 2012. Essays will be judged by a panel of experts led by William H. White, historian and author, and members of the National Maritime Historical Society. Art will be judged by a panel of experts from the USS Constitution Museum. One winner (and one parent/guardian) will be invited to ride the U.S. Coast Guard barque Eagle or a comparable tall ship as the vessel participates in an OpSail Parade of Sail, weather permitting. Winners must arrange for their own transportation to the city where the tall ship sails. Winners may be asked to video record their essays for use by OpSail and must agree to media interviews. Winners agree that their essay or art work may be used for promotional purposes. Submissions become the property of Operation Sail, Inc. for use in print or other media as Operation Sail in its sole judgment determines. For student/teacher questions about rules, contact:contest@opsail.org. For more information about OpSail, please visit their website. The Polynesian. Honolulu: October 11, 1845. The following letter has recently been brought to light by Mr. Sparks. It was written in a reply to a proposition made to Washington at the conclusion of the war, by certain officers of his army, to accept a crown. The following sentiments show the republican spirit than animated the man. “Sir-With a mixture of great surprise and astonishment, I have read with attention the sentiments you have submitted to my perusal. Be assured, sir, no occurrence in the course of the war has given me more painful sensations than your information of there being such ideas existing in the army as you have expressed, and which I must view with abhorrence, and reprehend with severity. For the present, the communication of them will rest in my own bosom, unless some further agitation of the matter shall made a disclosure necessary. Let me conjure you, then, if you have any regard for your country, concern for yourself or posterity or respect for me, to banish these thoughts from your mind, and never communicate as from yourself or any one else, a sentiment of the like nature. We wanted to remind our history teachers, students, history buffs and, indeed everyone, that due to the Presidents Day holiday the Hawaii State Library System will be closed Saturday, February 18 through Monday, February 20, 2012. The libraries will reopen again on Tuesday morning, February 21. We at History Education Hawaii wish everyone an enjoyable and historical Presidents Day holiday. HEH will reopen its offices on Tuesday. As always, feel free to e-mail HEH anytime! The Society for the History of Technology will hold its annual meeting in Copenhagen, Denmark, October 4-7, 2012 at the Copenhagen Business School. NOTE: The proposal deadline is March 31, 2012. The Program Committee invites paper and panel proposals on any topic in the history of technology, broadly defined. The Committee welcomes proposals for individual papers or sessions, as well as works-in-progress from researchers at all levels (including graduate students, chaired professors, and independent scholars). It welcomes proposals from those new to SHOT, regardless of discipline. Multinational, international, and cross-institutional sessions are particularly encouraged. SHOT especially encourage proposals from non-Western and Eastern-European scholars. Since this is a non-North American meeting, the Program Committee will permit scholars who presented at the 2011 Cleveland meeting to give papers in Copenhagen. It is SHOT's policy to relax its rule about not presenting papers at two consecutive meetings in order to attract as many people as possible to meetings outside of North America. For the 2012 meeting the Program Committee continues to welcome unconventional sessions; that is, session formats that diverge in useful ways from the typical three/four papers with comment. These might include round-table sessions, workshop-style sessions with papers that are pre-circulated electronically, or "author meets critics" sessions. SHOT also welcomes poster proposals for presentation in poster sessions. The voyage of the Isabella from Mazatlan took 17 days. Upon its arrival in Honolulu Captain Briggs furnished the editors of The Polynesian with copies of American newspapers. The May 6, 1848 edition presented the news to its Hawaii readers, including the death of one of America’s most venerated statesmen and a final direct link to the American Revolution. * Click here for the White House page on John Quincy Adams. 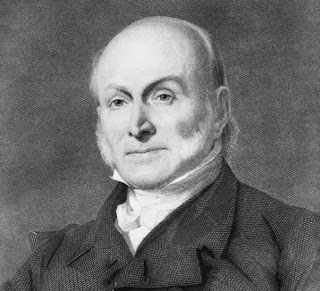 * Click here for the Miller Center's page on John Quincy Adams. * Click here for the U.S. Capitol Historical Society's page on Adams. * Click here for the Adams Family Papers, Massachusetts Historical Society. Saturday, the 22d ult., was the birthday of the man of all nations, the immortal Washington, whose fame grows brighter with every succeeding year, and the luster of whose example stimulates men of all races to emulate his virtues. Salutes were fired, morning, noon and night, from the Brandywine, and the occasion otherwise celebrated by his countrymen, to whom all climes and among all people the name of Washington stirs within them the proud remembrance of their country. Enjoy a week at beautiful Black Rock Retreat, located in Quarryville, right in the middle of Pennsylvania Dutch Country. This unique opportunity allows parents and children to gain knowledge while spending quality time with each other. This Institute focuses on the American industry, from robotics to manufacturing still untouched by the passage of time -- all while enjoying the summer activities afforded by the retreat location. The Summer Institue will be held July 8-13, 2012. Tomorrow, February 12, 2012, is President Abraham Lincoln’s birthday. We decided to share with our readers the text of an article that appeared in the November, 1864 edition of The Friend. This monthly newspaper was published in Honolulu by Rev. Samuel C. Damon of the American Seaman’s Friend Society. PRESENTATION TO THE PRESIDENT. 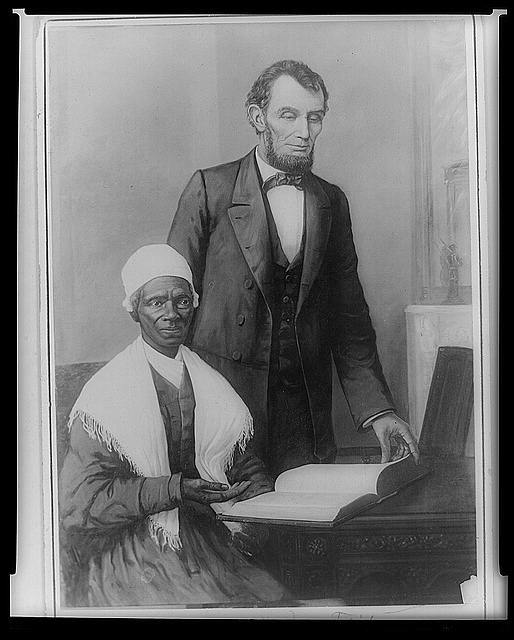 –The colored people of Baltimore, desirous of testifying their appreciation of the distinguished services of President Lincoln in the cause of human freedom, are about the present him with a copy of the Holy Bible, which is a masterpiece of art and taste. It is the imperial quarto of the American Bible Society, bound in purple velvet with heavy gold mountings, appropriately engraved, and inclosed in a walnut case lined with white silk. As a token of Respect and Gratitude. Intrinsically valuable as this gift may be, it is of little account in comparison with the sentiment it represents or embodies. It will be properly appreciated by the great champion of emancipation; it will take its appropriate place in the history of his efforts toward the accomplishment of the grand consummation in which Maryland has taken a leading part. It will form one of the best and proudest memorials it has ever fallen to the lot of any public man to transmit to posterity. The expression of “the respect and gratitude” of our colored citizens is highly creditable to them, and we are glad to chronicle so noteworthy an occurrence. –Baltimore American. NOTE: Go to this link for the text of Reply to Loyal Colored People of Baltimore Upon Presentation of a Bible by Abraham Lincoln. Honolulu, 1844: A School Girl's Reply to Her Teacher's Enquiry-What is Your Age? The Polynesian was a 19th century newspaper that served as the official voice of the royal Hawaiian government. The following poem was published in the Saturday, November 16, 1844 edition. We post it here for the enjoyment of our readers everywhere. My age, you wish to know, Sir? Could tell-but why should I? This sad excuse to read. History Education Hawaii, Inc., welcomes and encourages all our partners and our history educators to commemorate the bicentennial of the War of 1812 and the Star-Spangled Banner, America's national anthem. The War of 1812 and an interactive timeline. Places: Museums, Memorials, Ships and Planes! Be a Part of It: Social Media Links. This month will mark the annual observance of Presidents Day. Throughout the month of February we'll provide our readers with historical reflections on the presidents taken from Hawaii-based sources. Other monuments to this illustrious person have long ago been erected by not a few of the great States of our Union, and by not a few of the great cities of our States; but there remains to be reared a monument here, which shall bespeak the gratitude –not of the States nor of the Government- not of separate communities nor of official bodies- but of the people, the whole people, of the nation –a national monument erected by the citizens of America (applause). Of such a monument we have come to lay the corner stone here and now –on this day, on this spot, in this presence, and at this precise epoch of the history of our country and the world- we have come to commence this crowning act of commemoration. The day, the place, the witnesses, the precise period in ourn own history, and the world’s history, all are full of the most felicitous appropriateness to the occasion. On this day, the fourth of July we come to acknowledge a public debt to our first benefactor. We behold on the continent of Europe the influence of our institutions; we see spontaneous germination of seeds which were wafted over the ocean from our liberty tree (tremendous applause). It was his great moral power, his incorruptibility, his reliance upon God, his purity of life, his disinterestedness of all parties, his solid information and sound judgment, that made a character for the world, and challenges an equal for an example. Recently, on the other side of the Atlantic, Lamartine, in replying to the Indians, said, “Erase the name of Michiavel and substitute that of Washington. We want not a conqueror or a politician, but a man of the people. The great wants of the age is a European Washington (applause). Though we fear to receive disastrous intelligence through the magic wires –telling of his downfall- we say to Lamartine, Go on in your high career; your high character is appreciated; still oppose the upraised banner of blood, and the reign of terror; still aim, by willing words, to gain willing hearts, and make persuasion do the work of fear. 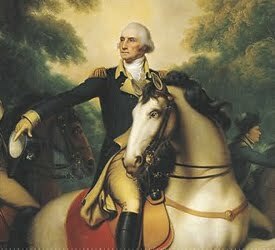 While commending Washington to others, do not fail to imitate his virtues. I will not disturb this assembly by one word of political allusion; but I must say that there has never been a moment when two great leading principles of his should be more especially cherished and remembered than at this time. The first is the more complete, cordial, and indissoluble union of the States; the second, the separation and disentanglement of our own country from other countries. 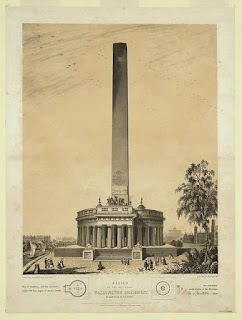 Let the column about to rise be at once a pledge and emblem of the perpetuation of the Union! (applause.) Let the foundation be laid; let the superstructure be reared; let every stone be raise in support of the union. Let us seize this occasion to renew our vows to the constitution, and let us contemplate the power that holds the stars of our confederacy in a glorious constellation forever! (applause, long continued). Proceed to the noble work for which you have assembled. Build the monument to the skies. You cannot overreach the loftiness of his principles; found it on the massive and eternal rock, you cannot make it more enduring than is his fame; construct it of Parian marble, you cannot make it purer and more spotless than was his life; exhaust on it the principles of ancient and modern art, you cannot make it more proportionate than was his character. Ka`ahumanu Hale-First Circuit Court in Honolulu was bustling with activity on Saturday morning, February 4, 2012. On that day the Hawaii high school state qualifying hearings were held as part of the annual We The People: The Citizen and the Constitution competition. Organized by State Coordinator Sandra Cashman, the event was sponsored by the Friends of the Hawaii Judiciary History Center and the Center for Civic Education. For the third year Jeffrey Bingham Mead, NCHE Hawaii liaison and president of History Education Hawaii, served as a judge. Mead was paired with Robert Buss, executive director of the Hawai`i Council for the Humanities and Ret. Judge Gail C. Nakatani. Other judges included Chief Justice Mark Recktenwald of the Hawaii State Supreme Court, Dr. John Hart, professor at Hawaii Pacific University, Dr. Brian Richardson, professor at Windward Community College, and members of Hawai’i’s legal community. We the People: The Citizen and the Constitution promotes civic competence and responsibility among the nation’s upper elementary and secondary students. The program enjoys the active participation of members of Congress, as well as support from educational, professional, business, and community organizations across the nation. Since the inception of the We the People program in 1987, more than 30 million students and 90,000 educators have participated in this innovative course of study. The following schools sent competing teams: Kahuku High & Intermediate School, Kahuku (Jan Harney, teacher); Kealakehe High School, Kailua Kona, Hawaii Island (Ezra Witsman, teacher); Iolani School, Honolulu (Woodie Milks, teacher); Island Pacific Academy, Kapolei (Kori Shlachter, teacher). Two showcase teams from Hawaii Technology Academy, Waipahu (Collin Kennedy, teacher) and La`ie Elementary School, La`ie (Colleen Spring, teacher) also participated. The 2012 Hawaii winning team are from Kahuku High & Intermediate School (Jan Harney, teacher); Island Pacific Academy, Kapolei (Kori Shlachter, teacher); and Iolani School Team Red (Woodie Milks, teacher). In 1954 students at Lincoln Elementary School participated in an essay contest entitled, ‘Why We Americans Honor Abraham Lincoln.’ The contest was sponsored by the Lincoln Day Dinner Committee of the Oahu County Republican organization, reported the Honolulu Advertiser on January 25, 1954. The Advertiser reported that all contestants were limited to 267 words, “the number Lincoln used in his Gettysburg Address. The winner would receive a $25 U.S. Defense Bond as a prize. The February 3, 1954 edition of the Honolulu Advertiser announced the contest winner. “Diane Takamune, 10-year-old fifth grader at Lincoln Elementary School, who wrote ‘Abraham Lincoln was a truly great American,’ seemed pleasantly surprised yesterday when she was called to the school auditorium stage and told she was first place winner of a Lincoln essay contest.” Her mother was a second grade teacher at Lincoln School, and her father principal of Washington Intermediate School. The second prize winner was 11-year-old Marilyn Wong, daughter of Mr. and Mrs. Yan Sau Wong and Penny Ho, daughter of Mr. and Mrs. Tim Ho. Both were sixth graders. Diane Takamune wrote that, “we honor Abraham Lincoln because he was a fair, honest and kind person –he believed that all men are created equal.” She also said that the Gettysburg Address “was like a prayer.” “Abe was a kind man in all of his ways, at home, at work, and even in war.” Diane Takamune’s essay had 261 words. Judges of the contest were Robert M. Faulker, district superintendent for Honolulu schools; William T.S. Wong, principal of Lincoln School, and Mrs. Byrd J. Lacy, vice principal.